ISTANBUL, Turkey, July 12, 2016 (ENS) – Of all the world’s unique natural areas threatened by logging, poaching, dam development and gillnet fishing, the International Union for Conservation of Nature is advising the UNESCO World Heritage Committee to place five of them on the List of Heritage in Danger. 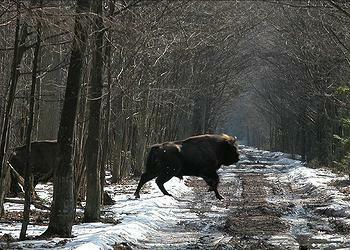 The Bialowieza Forest in Poland and Belarus, an immense primeval forest inhabited by the vulnerable European bison, is one of the few remaining large forests on the European continent. 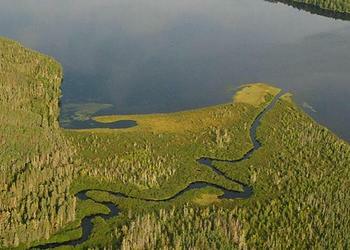 Yet it is at risk of logging by the Polish government and should be placed on the danger list, the IUCN warns. The Dong Phayayen-Khao Yai Forest Complex in Thailand is in danger due to illegal logging and trafficking of Siamese rosewood and also belongs on the danger list, advises the conservation group. Gillnet fishing in Mexico’s Gulf of California is threatening the vaquita – the smallest and most endangered species of porpoise – with imminent extinction, as well as the totoaba, a marine fish whose swim bladder is in high demand in China, where it is believed to be a treatment for fertility problems. In Istanbul, the UNESCO World Heritage Committee, consisting of the 21 countries making these decisions and many others, opened its 10-day meeting on July 10. At this meeting the Committee intends to consider 27 nominations for addition to the sites on the List of World Heritage, as well as deciding whether or not to offer the greater protection of a position on the In Danger List to the most threatened sites. The Committee will also examine the state of conservation of 156 World Heritage properties already on the list. Natural World Heritage sites are most at risk from logging, poaching, gillnet fishing and dams, finds the IUCN, which advises the Committee by request. IUCN recommends placing another site on the List of World Heritage in Danger, the Talamanca Range-La Amistad Reserves / La Amistad National Park along the border of Panama and Costa Rica, due to new and existing dam projects affecting the site. Finally, another natural site could be danger-listed following IUCN’s recommendation: the Dja Faunal Reserve in Cameroon, which is at risk due to elephant poaching and dam development. Natural sites where IUCN’s recommendations mention possible danger-listing in 2017 include the Natural and Cultural Heritage of the Ohrid Region in the Former Yugoslav Rrepublic of Macedonia; the Cerrado Protected Areas – Chapada dos Veadeiros and Emas National Parks in Brazil; the Golden Mountains of Altai in Russia; and the Natural System of Wrangel Island Reserve, also in Russia. Recommendations to the World Heritage Committee on over 60 natural sites have been prepared this year by IUCN, in collaboration with UNESCO. As the advisory body on natural World Heritage, IUCN has also evaluated 17 proposals to inscribe new areas, or extend and modify natural areas already on the World Heritage List. * – Hubei Shennongjia in China, where thriving ecosystems are inhaited by over 600 vertebrate species. On Monday, the 21 World Heritage Committee Member States unimously adopted the Istanbul Declaration on the Protection of World Heritage. 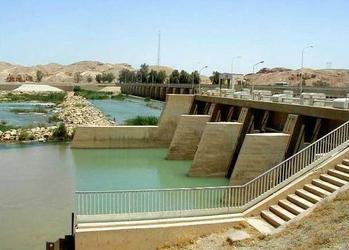 Based in Iraq, the nonprofit Save the Tigris Campaign is calling for the protection of the Mesopotamian Marshlands and a halt to construction of all large dams on the Tigris River and its principal tributaries. The Marshes, which have been on the World Heritage Committee’s tentative list since 2003, would be the first Iraqi site to be recognized on the World Heritage List for both cultural and natural significance. But despite the presence of four other Iraqi sites on the World Heritage Committee’s list of decisions to be made at the Istanbul meeting, the Marshes are not among them. “Recognition of the Iraqi Marshes should be given top priority, since they face grave threats as a result of the continued construction of large dams on the Tigris River and its tributaries in Turkey and Iran,” the Save the Tigris Campaign urges. A report produced for WWF by Dalberg Global Development Advisors earlier this year found that nearly half of all natural World Heritage sites are threatened by harmful industrial activities, such as oil and gas exploration, mining, large-scale infrastructure projects and industrial-scale logging or fishing. “It has never been more important to stand-up for our shared heritage. 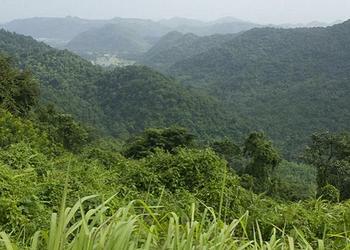 People and places must be allowed to prosper and grow,” said Zach Abraham, WWF’s director of global campaigns. In addition to the IUCN’s recommendations, WWF is calling for the Bulgarian government to authorize the new management plan of Pirin National Park only after it is approved by UNESCO and has received a positive environmental assessment with a guarantee that there will be no further destruction by harmful infrastructure and skiing projects. WWF wants the World Heritage Committee to recognize explicitly the threats to Russia’s Western Caucasus site from harmful infrastructure projects that unnecessarily jeopardize the value of this iconic area. In addition, WWF is urging the government of Belize to ban all offshore oil exploration, as a spill anywhere in its waters would threaten the reef World Heritage site and devastate the national economy. Finally, WWF recommends “urgent progress” by Tanzania’s government to address the industrial scale actions that threaten the Selous ecosystem and the future of 150,000 people who directly depend on this site.